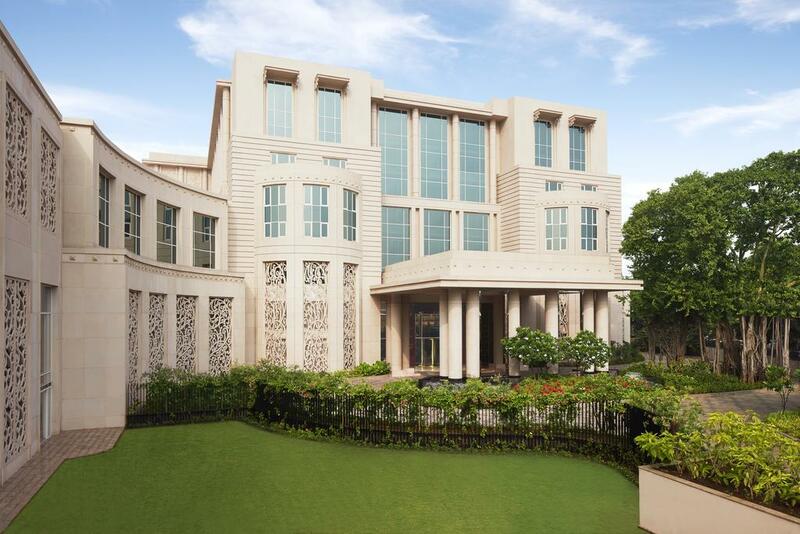 Taj Santacruz hotel at Mumbai Airport is directly connected to the domestic terminal building. Luxury rooms and suites complimented by a variety of on-site restaurants provide great comfort and convenience to hotel guests. 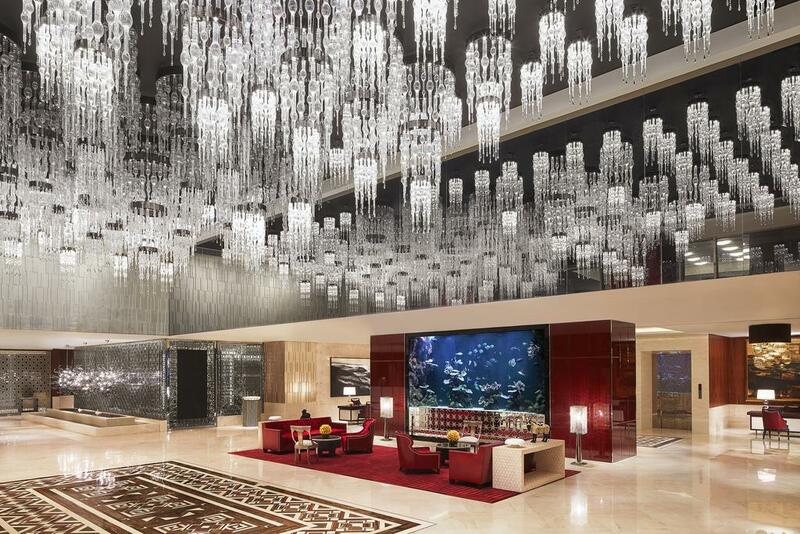 The hotel lobby features a six-story high piece of Thikri art. 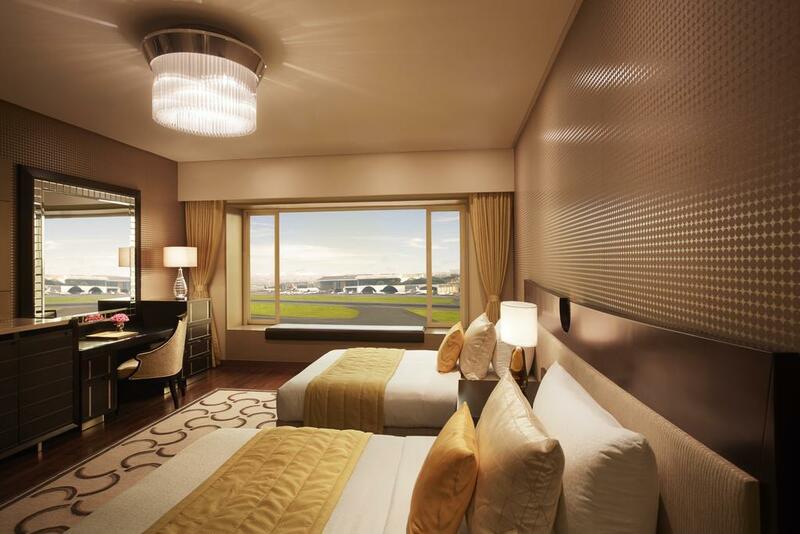 Some of the rooms and suites offer a fascinating overview of the airport runway. 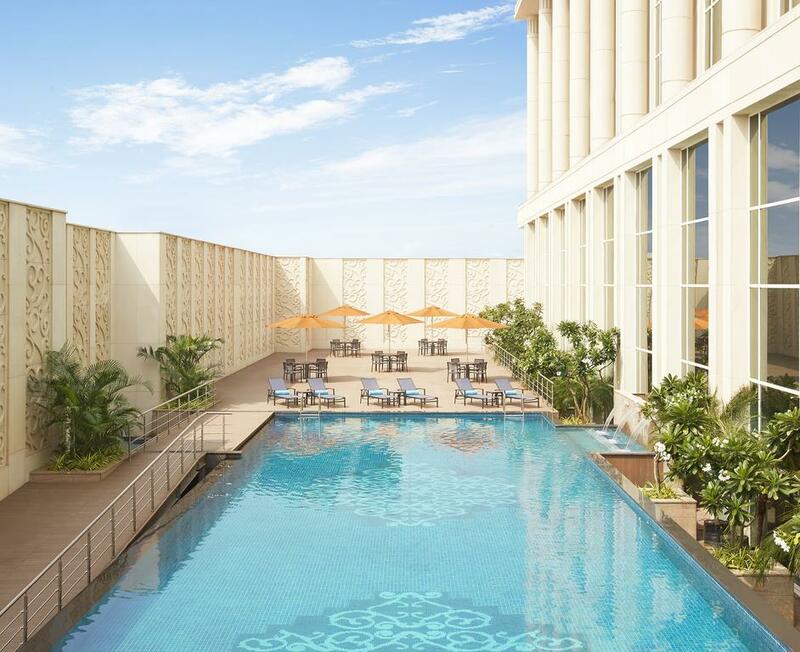 Taj Santacruz Mumbai Airport features 279 rooms, including Luxury and Junior suites, Taj Club Rooms and Presidential and Grand suites. 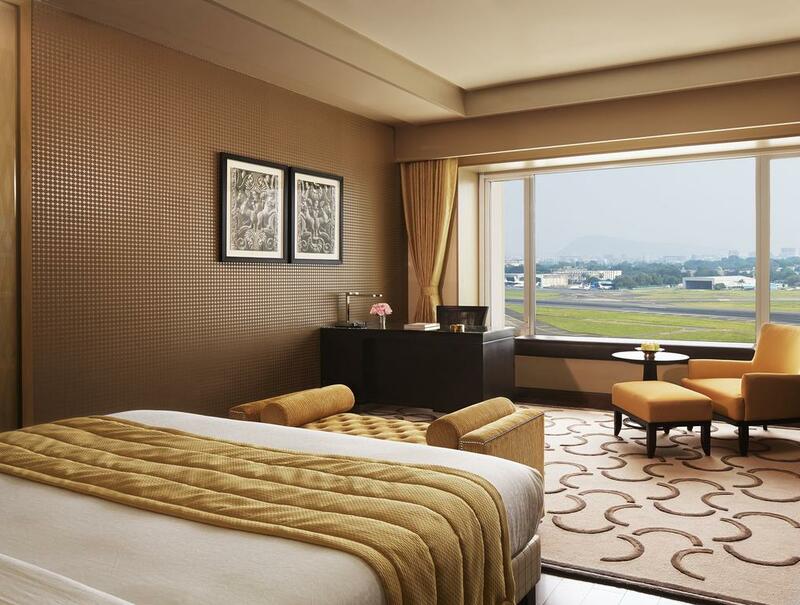 Rooms with city, pool and airport runway views are available. 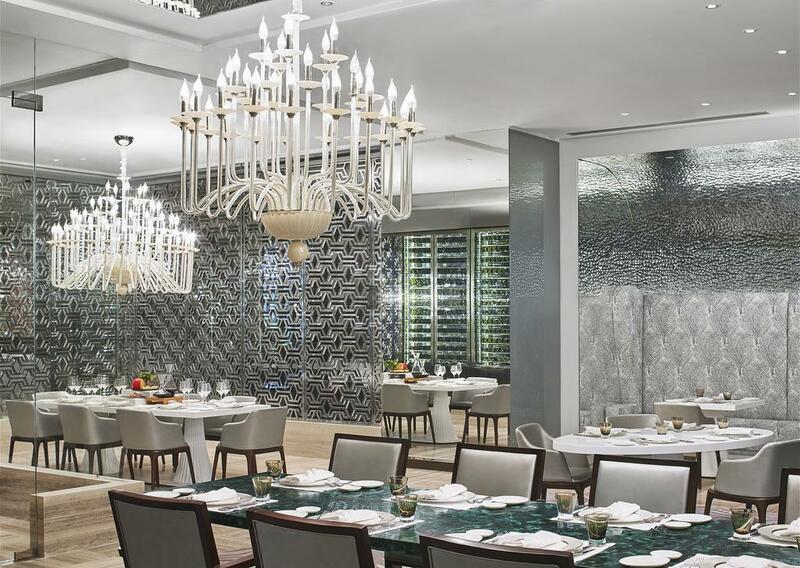 Rivea restaurant offers Riviera-style Mediterranean food from South of France to North of Italy. Small tasting portions that give guests the choice to try different meats, cooking style and flavors. Family dining with cicchetti (sharing platters) section, an interactive stone baked pizza counter and cooking station are some of its unique features. The bar serves both classic and contemporary cocktails and an exclusive range of 60 wine labels from France, Italy and Spain. Tiqri restaurant – sophisticated and light decor unfolds a timeless elegance and a culinary journey of global cuisine. Enjoy traditional and innovative Afternoon Tea, grilled specialties and cocktails with a twist throughout the day. The atrium architecture allows natural light to flood through the ceiling which enlivens the colossal ‘Tree of Life’ mural. In the evening theatrical lighting transforms this venue into a warm enchanting restaurant. China Inc restaurant offers authentic Sichuan Chinese cuisine. On the menu is a delectable selection of Dim sum, Congee Crispy Lamb and the Peking Duck created by the specialty Chef. Private Dining Rooms make it a perfect venue for small meetings and celebration dinners. Jiva Spa – A holistic wellness experience, Jiva spa offers the luxury of pampering oneself in one of the exclusive treatment rooms, with mood lighting and ambient music. Each session begins with a consultation by a trained therapist to customize the treatment to individual needs. 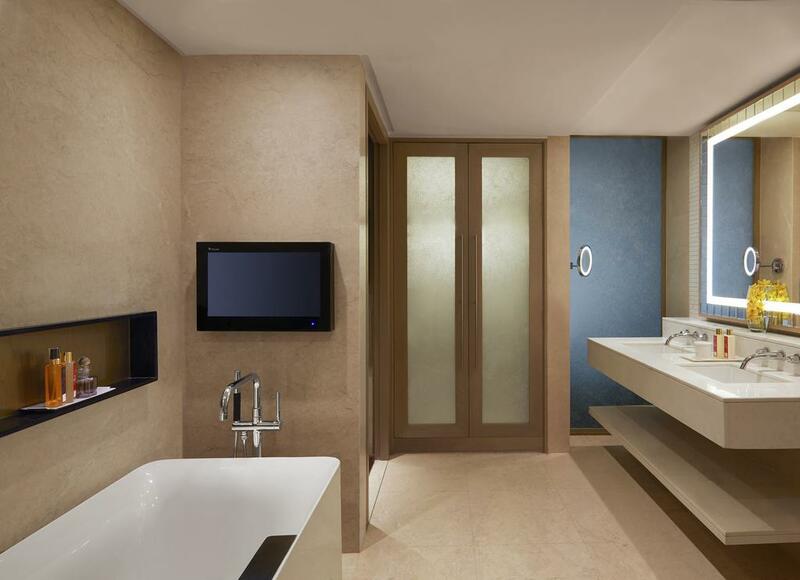 Guests have complimentary use of the steam rooms. 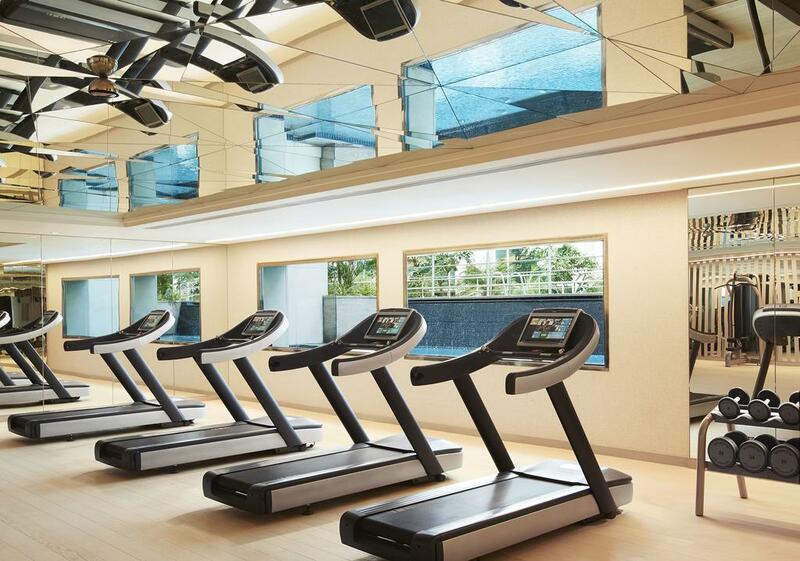 Personal trainers in the fitness center assist with cardio therapy, circuit training and yoga classes.